The original animated film Blood: The Last Vampire was released worldwide in July 2000. Produced by Production I.G. (who also produced Ghost in the Shell) and SPE Visual Works, it was directed by Hiroyuki Kitakubo. 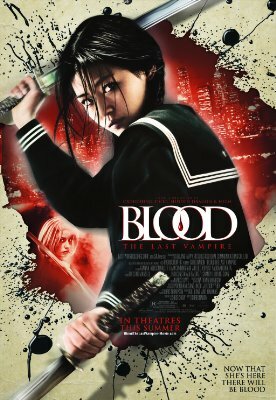 The film tells the story of Saya, a sailor suited teen who kills vampires with a samurai sword. Blood: The Last Vampire is particularly notable because it was the first anime to be originally produced in English with Japanese subtitles. This was done so that it would be more successful around the world which seems to have worked. Not only did it win several awards, but within a month of it’s home video release in North America, it became the top selling title for the distributor. In other words, Blood: The Last Vampire may not have had the cultural influence as Ghost in the Shell, but if you’ve been a fan of anime for the past 15 or so years, you’ve probably seen it or know of it. First forward to 2009, and we get the release of the live action version. Produced by the same producer behind highest grossing foreign language film in American history, Crouching Tiger, Hidden Dragon, it seems this production team was hoping to recreate that success for BTV. Shot in English, the live action adaption has an international cast including actors and actresses from Korea, Japan, America, Britain, and Ireland. No American studio was involved in the production, only studios from France and Hong Kong. 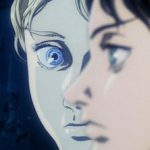 So how did this production do in adapting a beloved anime? It’s a mixed bag. I went to see the film in theaters when in came out in New York City in the summer of 2009. The film doesn’t change the basic premise of BTV–a young Japanese girl who fights vampires–however, it does Saya’s motivations into a revenge story–Onigen killed Saya’s father and Saya seeks her revenge. It’s not a horrible change, but the film does seem to lack the magic of the original. Gianna is fantastic as Saya and she is easily the best part of the film. It’s amazing to see Koyuki as the villian, however her voice is dubbed over in English and it sticks out like a sore thumb. The action scenes aren’t bad, but the biggest drawbacks are the terrible CGI vampires–even by 2009 standards. Apparently my friend and I were the only ones to see it in the theater; it only grossed $5 million worldwide. 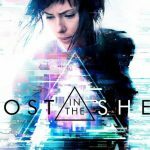 Scarlet Johansson’s Ghost in the Shell brought in $40.5 million in North America and $169 million worldwide. So where did this movie go wrong? Despite our incredibly globalized world, it strikes me that our live action entertainment is still staunchly local. Take for example the lead actresses Gianna and Koyuki. 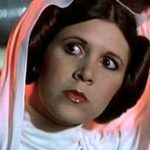 While both actresses are incredibly famous in their home countries, neither have particularly made a mark in North America. Of course, you might know Koyuki as the long suffering wife, Taka, in The Last Samurai. And you might know Gianna from My Sassy Girl. However, I can see they might have a hard time booking the morning shows to promote the film. A quick google search shows some publicity for the film, but strikingly, there is no mention this film in regards to whitewashing. Perhaps the geek blogosphere was still coming into its own in 2009. Of course, this is one the arguments that people often use in support of whitewashing–that there are no Asian actors or actresses that have a big profile in the North America. Blood the Last Vampire is a poignant example of just how hard it is to drive moviegoers to the theater without a well-known star. Another argument that is often made is that there are not many Asian movie stars who speak English well. Again, Blood the Last Vampire sheds some light on issue. Like Zhang Ziyi learning English for Memoirs of a Geisha, Gianna put in the work to learn English and her English is pretty good. The dubover of Koyuki’s voice isn’t half bad, but her silky smooth, native-quality English sticks out like a sore thumb. It’s also interesting to note that Saya’s voice actress in the animation is Japanese actress, Yūki Kudō. 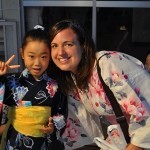 Like Gianna, Yūki also taught herself English and her English is pretty good. Yūki has done a few Hollywood films over the years playing supporting characters in Snow Falling on Cedars, Memoirs of a Geisha and Rush Hour 3. Unfortunately, again, I don’t think her name is the one driving people to the movies theaters. All in all, what I think we can learn from Blood: the Last Vampire is that Asian actresses may not be the silver bullet to solve Hollywood’s whitewashing problem. In terms of English speaking abilities and publicity power, hiring and developing Asian American actors and actresses seems to be the easiest answer. Hollywood needs to get over it and hire Asian American actors and actresses not just for anime, but well, for everything. Finally, while the topic of whitewashing has been a lightening rod for the news media, I wonder what we are left with when a movie is not whitewashed. Of course, movies that are doing the bare minimum are not to be celebrated, but we are still left with the problem with people not caring about movies that star Asian American actors and actresses. Hopefully, that will change in the near future. You’ll have an opportunity to support a major Hollywood film starring your favor Asian American actors and actresses (Constance Wu! Awkwafina!) in the upcoming movie Crazy Rich Asians directed by Jon M. Chu. They started filming in April 2017, but no release date has been confirmed yet. Perhaps if Crazy Rich Asians is a success, we could be one more step closer to a live action Cowboy Bebop movie with Lewis Tan as Spike Spiegel and Constance Wu as Faye Valentine. Let’s make it happen! I largely agree with your assessment. However, I must note to you that even if a Hollywood movie nowaday starting an all-star cast, the chance it will be a blockbuster is still very low compared to, say, ten years before. The pulling power of a big-name actor has dimished much and replaced by franchise-loyalty. Oh, I totally understand what you are saying. I read this really fascinating article about how since superhero movies are such a big thing now, it’s much more about the superhero and not the actual actor. So, Hollywood is hurting in the sense that they aren’t creating huge stars now that they can just put in any movie for it to do well. Next post: Japanese Feminism 101 Panel at Anime NYC! 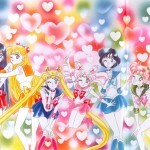 Previous post: Happy 4th Birthday Shojo Power!